I recently returned to the City of Roses after a stint in the Big Apple, and although I was technically there to see my client’s film screen at the Museum of Modern Art, I also wanted to see how the galleries in one of the world’s premiere art cities use (or don’t use) social media to connect with their artists, customers, and communities. Since getting back to the Pacific Time Zone (just in time to spring forward, I might add), I also examined the galleries in Los Angeles, aka New York’s evil twin, to see if there were any parallels or divergences. You see, by examining how the blue-chip galleries of an arts metropolis utilize social media and social networking tools, I thought perhaps artists who are represented by smaller galleries (or themselves) could glean some wisdom- after all, the galleries I looked at do a very brisk business and many have been around since before Facebook was even a glimmer in a Harvard student’s eye-on what should and shouldn’t be a part of their online marketing strategy. The results were very interesting, to say the least! So, what can artists and galleries learn from the top dogs? 1. Social networking is a luxury for them and a necessity for you. Galleries of blue-chip caliber often have decades under their belt, and in that time, they have built up a stellar reputation, close ties with their client base, and connections surrounding cultural infrastructure. They represent some of the heaviest hitters in the art world, and that frankly speaks for itself. That said, I was surprised at which galleries had Facebook and Twitter presence and which did not- for example, the Mary Boone Gallery doesn’t have a Facebook page or Twitter account, which I get. But Gagosian Gallery, which has been around for over twenty years and has multiple locations in New York, California, Europe, and Asia, also has over ten thousand Facebook fans and intense wall activity. By contrast, the LA galleries like Blum and Poe and Honor Fraser have a much more consistent Facebook presence across the board. Perhaps the proximity to Silicon Valley and Palo Alto has something to do with it. What can we take away from this? Well, first of all, if you’re a high-end, power-player gallery, enough people are already Tweeting about you that you don’t have to- how nice! For the bajillion galleries and art spaces below the upper crust, however, any hustle is good and necessary, and social networking is NOT an option, it’s a must. 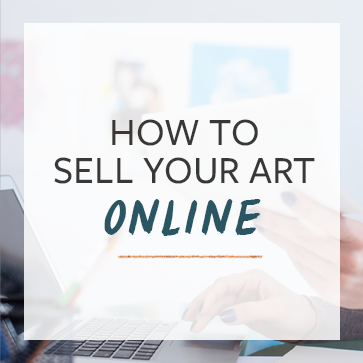 In a way, it’s even a great equalizer- if you can get your gallery’s Facebook activity booming, you’ll rise up in the news feed just as high as a an art space whose annual budget would make you cry! 2. Social media should be used to bring the gallery to the people. I’m talking about everything from posting links to reviews to posting videos of artist talks. Post everything. Reach your content tentacles out far and wide! Part of what makes Gagosian Gallery’s Facebook presence so powerful is that they post often, and they post multimedia. It’s not enough to just create events and share photos of said events! If your gallery’s artists are showing elsewhere, let people know. If they win awards or get great write-ups, let people know! Record everything. While I was in New York, I had the pleasure of checking out Splatterpool Artspace in Brooklyn, which is a live-work gallery focused on emerging artists mostly in that borough. Not only does this gallery post YouTube videos of artist talks on Facebook, they also have a “channel” on their website for videos of artist interviews. The more you can put your demographics in touch with the work and the artists that make it, the better: That way, even if a fan can’t make it to the space, they can still feel connected to the shows and the artist. 3. Facebook: The Final Frontier: These are the voyages of The Abundant Artist! Was that just too nerdy for words? Bear with me! As I mentioned earlier, many of the most reputable and exclusive galleries in the world don’t utilize social media. Maybe it’s because they’re too busy selling more art than all of Etsy, or maybe it’s because it would affect their caché. Either way, even when they do take advantage of the utterly free marketing and enormous scope of social media and networking, most blue-chip galleries don’t do it like Gagosian. In fact, their Facebook pages are basically just extensions of the “news” section of their website. The sum of what I learned from these galleries and their networking habits is that by and large, the little fish still have this arena locked down. That’s the good news. But little fish have to swim twice as fast, and if you don’t have a reputation to precede you, you must put the time and energy in so that you can reach out. This generation of artists and cultural workers is so incredibly fortunate to have access to this technology, technology that was basically science fiction when many of the galleries I’ve named in this post were founded. You might not have “…a dealer in Tokyo…a rep in Paris, …an agent in cologne… a gallery in New York!”, as the lyrics to The Yeah Yeah Yeahs’ “Art Star” go, but you have the ability to shape your own destiny. These grand-dames of the art world don’t hold the keys to the castle anymore. Great topic. It makes for an interesting read and it not something most artists would think of researching. Thanks. Thanks, Betty! Stay tuned- my next article will have quotes from galleries about how social media influences their business and helps artists! Great post! I agree with you, it might be the somewhat out-dated idea about cultural caché that stops certain galleries and institutions from utilizing free social media to promote their business. But I really like your research approach, I think it’s the most practical way to learn: by example! There is so much free information to be learned by artists and galleries if they simply pay attention to what others are doing. Thanks for doing that and giving us a great analysis. I’m confused. How did you visit Deitch Projects given the fact that it has been closed for nearly a year? Deitch had to give up that gig when he went to MOMA. I can recall that they did have a Facebook and Myspace presence at one time. It is likely they removed all of that when the gallery was closed. Obviously I didn’t physically visit Deitch while in NYC- but forgive me for not being up on its closing! It was my first time in the East Coast art scene since…wow, 2006? What a country mouse I’ve become out here in Portland! This post has been updated to reflect that inaccuracy. Deitch was my go-to whenever students, etc asked about galleries that showed “edgy-commercial” art, and I am very excited that he’s moved to a more institutional setting. Clearly I have spent too much time in the experimental film community and have missed some important shake-ups. It’s an interesting thing to try and ride the line between DIY, micro-scale art world and all caps ART WORLD. Thanks for the heads-up, and for your sake and mine, please never bring up Myspace again! Shudder. fyi, Deitch is at LA MoCA, not MoMA, yes? The geary set moreover is known as a maximum solution online online marketing agent which provides automated resultsoriented ads to federal agency and brands collaboratorsroell is in addition in touch with san diego county advertising http://epicbeaver.com/buy-instagram-followers/ golf club becoming the golf club http://epicbeaver.com/buy-instagram-likes/ buy instagram followers after which it a chief executive in the past He or she is also in touch with the marketers institution.